The Asian longhorned beetle is a threat to America’s hardwood trees such as the Maple tree. There is currently no cure, has the potential to cause more damage than Dutch elm disease, chestnut blight and gypsy moths combined. Signs include but are not limited to seeing the beetle, a series of chewed round depressions in tree bark, pencil-sized circular exit holes, excessive sawdust buildup near tree bases, and unseasonably drooping or yellowed leaves. There are infestations in Massachusetts, New Jersey, New York and Ohio, but western states are considered at risk. MIchigan is currently not an infestation zone; it is always important to keep an eye out for these pests. 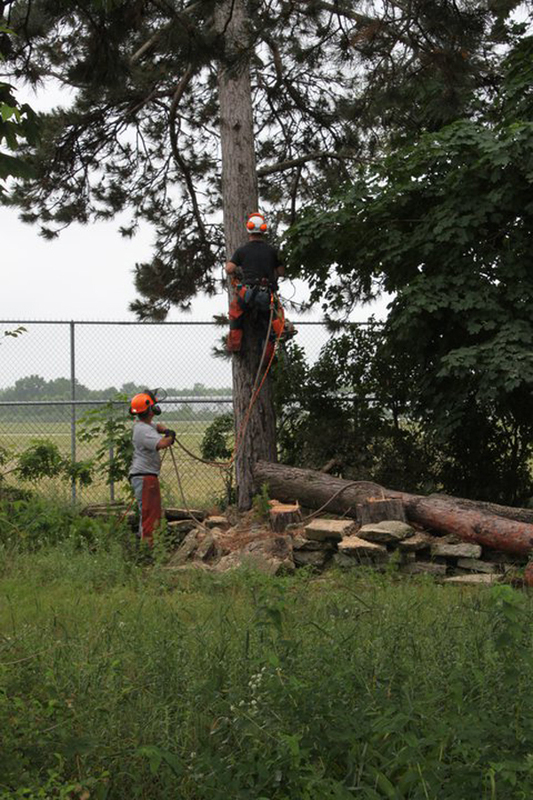 If you have further questions please contact one of our arborists for a consultation. 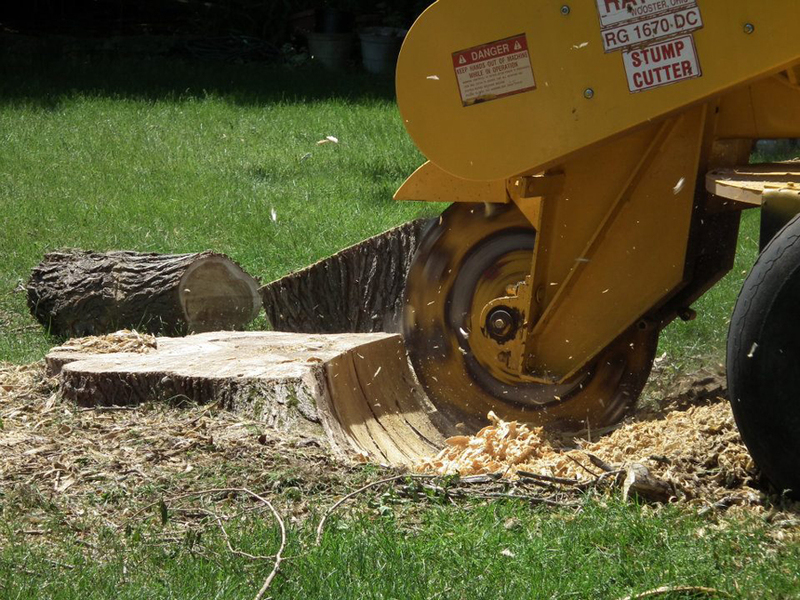 The Emerald Ash Borer has recently received the most attention in the United States. However, it is far from the only threat to trees. State and federal authorities are monitoring 15 invasive pests that are considered to be the most damaging in the U.S. to agriculture and trees This federal data shows the large scope of the overall problem. Forty of the 50 U.S. states have at least one of targeted pests under federal quarantine, according to www.hungrypests.com, which is run by the U.S. Department of Agriculture. All of the 50 states that are listed have suitable habitats for more than one of the pests. The European Gypsy Moth is such a huge threat because its caterpillars feed on over 300 species of trees/shrubs and have ravenous appetites. The caterpillars defoliate trees, this makes the trees vulnerable to other diseases and pests. Some signs might include visible egg masses, caterpillars and adult moths, along with defoliated trees. The moth has been found in states such as Connecticut, Delaware, the District of Columbia, Illinois, Indiana, Maine, Maryland, Massachusetts, Michigan, Minnesota, New Hampshire, New Jersey, New York, North Carolina, Ohio, Pennsylvania, Rhode Island, Vermont, Virginia, West Virginia and Wisconsin. Kentucky is considered to be at high risk. Please contact an arborist if you have any concerns with these invasive pests. 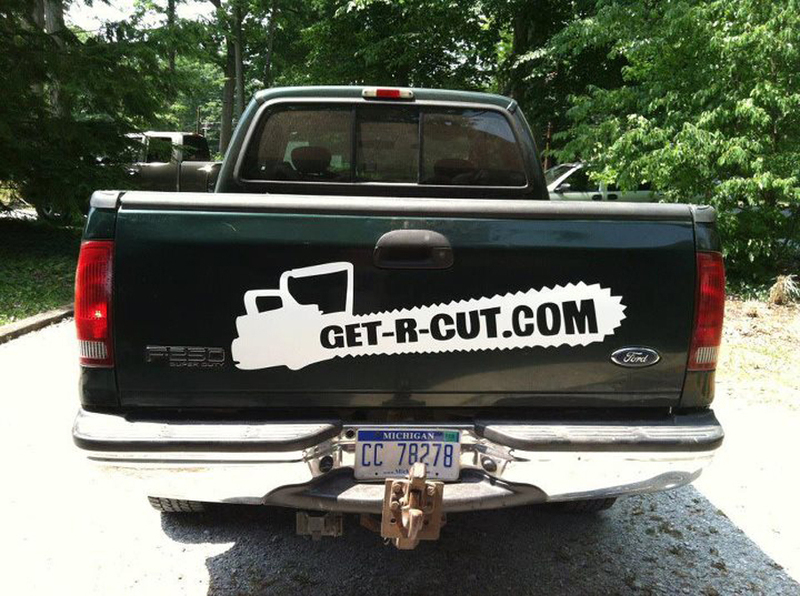 Often times, trees in your business parking lot will need to be pruned to accomodate cars. Typically, this is done to a height of 8 - 13 feet and should not exceed 30% of the overall height of the tree, per ANSI A300 Standards. 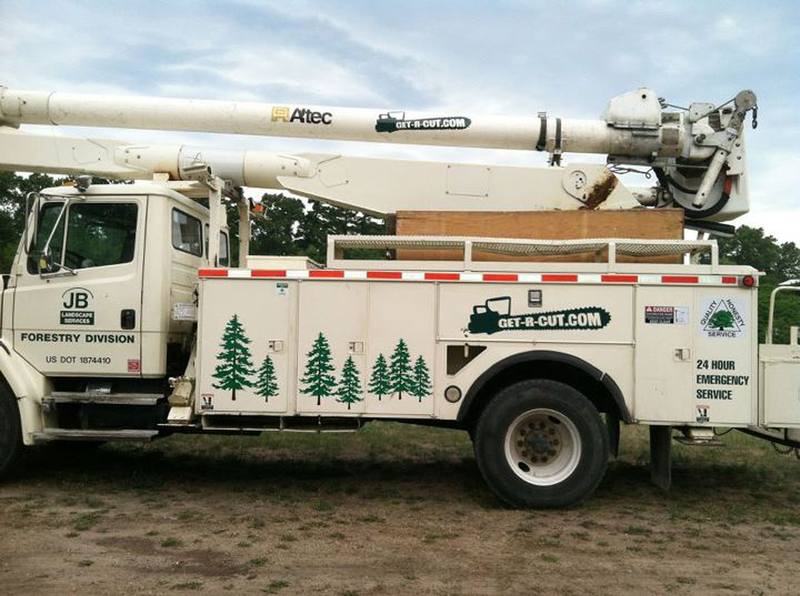 If your tree is tall enough, you may want to have your arborist prune high branches that may obstruct the clearance of large vehicles. Don't forget that those professions that use those larger vehicles will need ample clearance for parking. 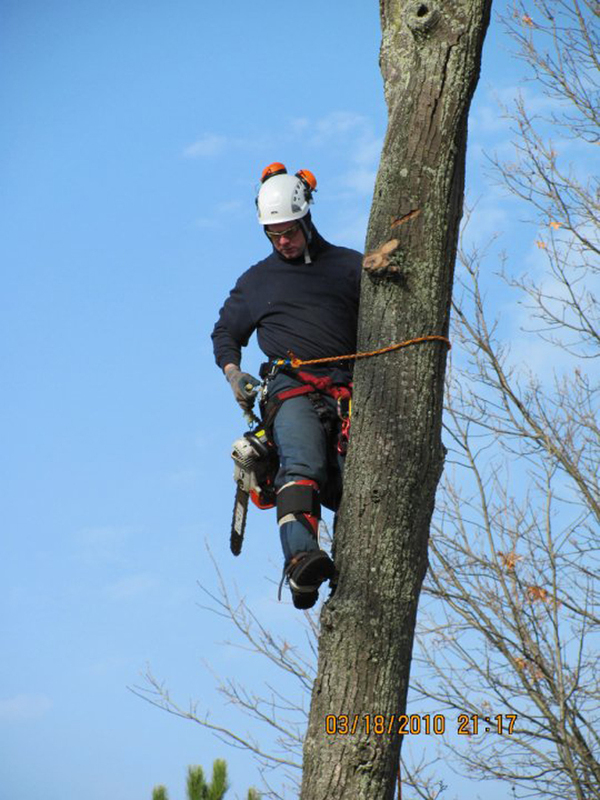 If you have further questions please feel free to contact one of our arborist for a consultation. Often times retail businesses have trees that block their signs and passing traffic does not see the business sign as intended. The property manager must take proper care of this issue to ensure that the sign of the business is as visible as possible. When business owners advertise their business along the street, it is very important to their busines that the sign is properly seen. 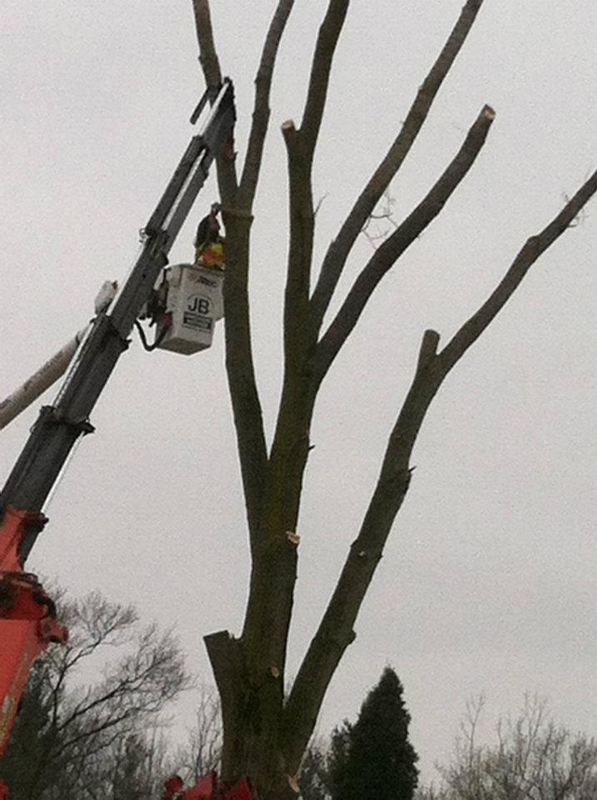 Larger trees can be pruned up to a maximum of 30% of their overall height, in compliance with the ANSI A300 Standards. How many times have you noticed that trees have been planted too close to buildings/structures? A good thing to keep in mind is that you should provide approximately 5-10 foot of clearance from the building. This can be measured from the outermost point of the building (ie an awning). For those trees that are in close/tight quarters, it is necessary to prune them at 180 degrees. 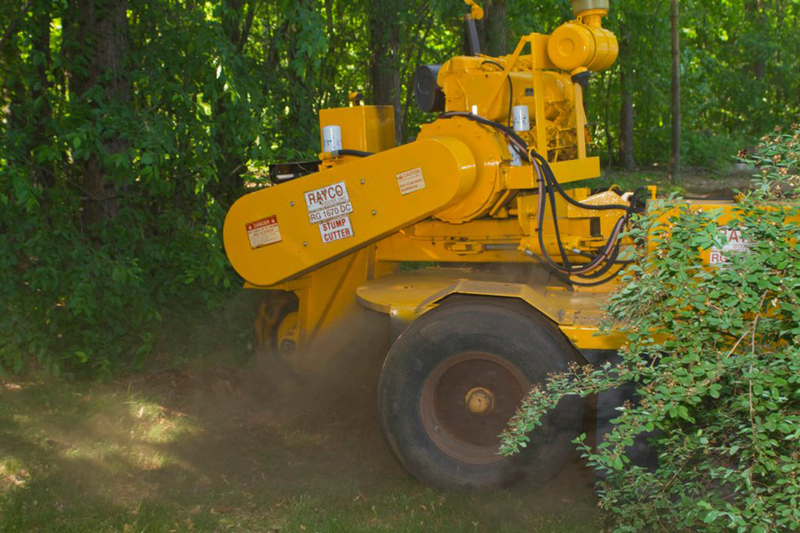 By pruning in this fashion, it reduces the potential long term maintenance costs associated with constantly pruning those unwanted branches that cause sucker shoots. It is acceptable when pruning is done to do it back to the trunk with a proper branch collar cut. While looking at the tree from the road, the tree will appear to be a whole tree. However, from the inside it is really a half a tree. 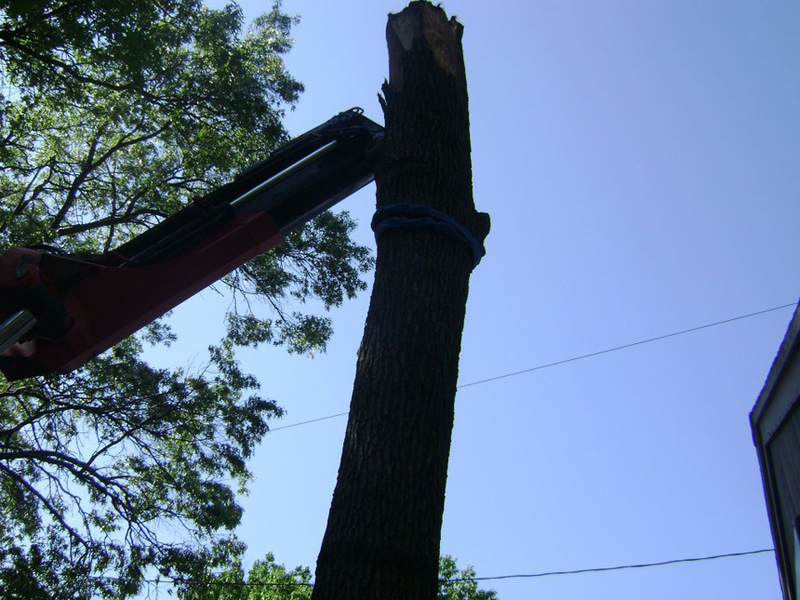 When a tree get particularly large - over 50 feet, there is a risk of ending up with a lopsided tree. 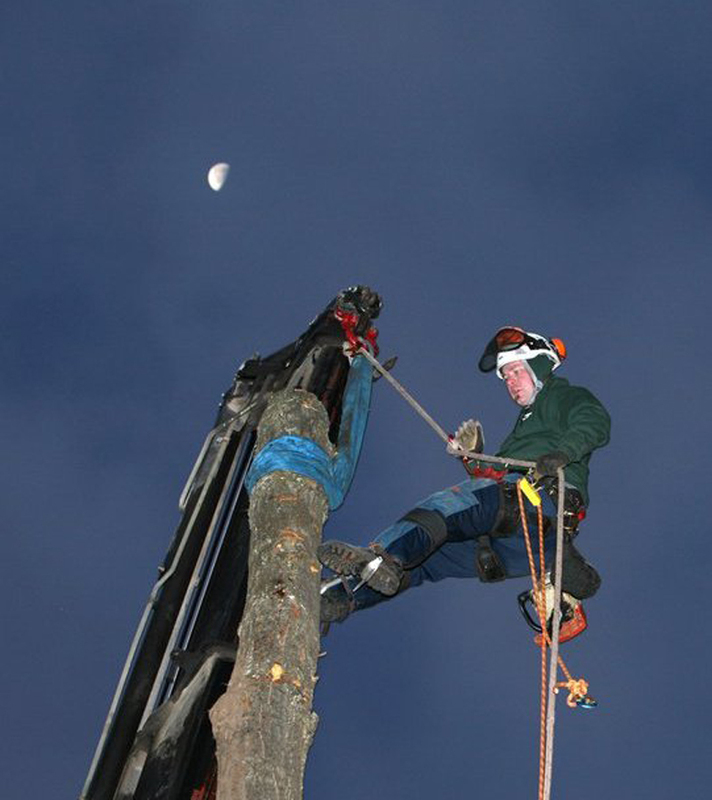 For this reason it is important to have your arborist recommend pruning practices on a tree by tree basis to suit your needs. JB does my snow plowing for my auto repair shop also has done some landscape work as well... great job. I would refer them to anyone.